Tuesday’s numbers: Hannity-Laura Ingraham-Tucker 1-2-3. Just ahead of AT&T takeover,?CNN signs Zucker through 2020. After nearly 600 days, Bret Baier gets his interview with Trump. Wemple: Can AT&T handle the heat the comes from owning CNN? OBJECTified season premiere?June 24. 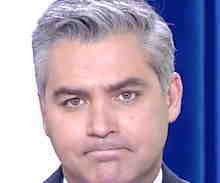 ?A time-out for Jim Acosta? Swells gather to tout Tapper tome. ?Harris Faulkner’s mission in life. Updated 6:14 pm? ?Use our valuable bandwidth to post your?cable news comments?in today’s open thread.